My Home Has Just Been Burgled! What Should I Do Now? 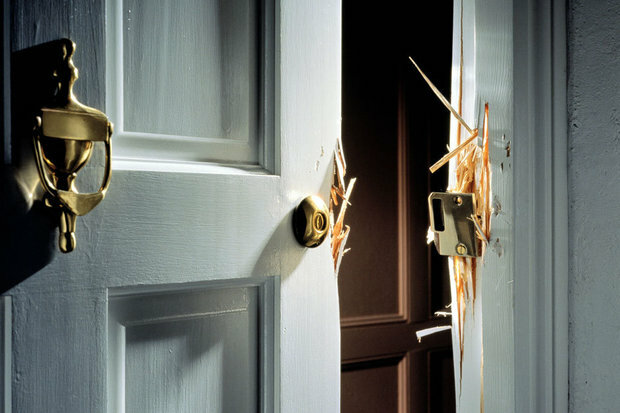 If you arrive home and you find evidence of a burglary, do not enter the home. If you have already entered your home, exit quickly and quietly as the burglar could still be inside. Retreat to a safe place immediately! Call 911 from a safe location, such as a neighbor's house. Once they arrive on the scene, they will inspect the home and make certain it is safe for you to enter. They will file a police report which is essential for insurance purposes. Memories can grow hazy over time. Creating a detailed, written record of events immediately after the burglary will help the police in the weeks to come. Start compiling a list of missing and damaged items. Make sure the list is as detailed as possible with brand names and years of purchase and receipts if you know them. If you had the forethought to create a list of the serial numbers on your electronic items, provide those to the police as well. As they recover stolen goods, serial numbers will help them match recovered property with your list of missing items. You should call your insurance company as soon as possible after completing the police report. The insurance company may want to send an adjuster to review the scene. If so, you may not be allowed back into your home right away in order to preserve the scene. The insurance company will need a copy of the police report and an inventory of missing items to start the claim. Make sure you provide them with all requested paperwork in a timely fashion, aiding them in settling your claim as soon as possible. Fortify Your Home Security So It Doesn't Happen Again! Burglars target homes that provide easy access. Once they know their way around a home, it is not unusual for them to return months later once the homeowner has replaced the stolen valuables. Consult with a local security company to identify and address easy access points in your home and other security weaknesses. Most burglars will actively check for alarm systems in a home and will endeavor to avoid those homes. Once you have an alarm system in place, make certain that you set it regularly, even when you are home and especially when you are away. If you have been burgled, you may start believing you will never feel safe in your home again, but this simply isn't true. Upgrading your home's locks, doors, lighting, and security system will send a clear message to would-be thieves that your home is off limits.